Abstracts are particularly invited that address ways to support the theme of our conference; Breastfeeding: the Next Generation. All abstracts must acknowledge that breastfeeding is normal for the mother-baby dyad. This form should be submitted by email to conference@laleche.org.uk with the subject line 2018 Conference Abstract Submission. All fields must be filled in. The deadline for submissions is 5pm on 8th September 2018. Submissions will only be accepted via the online form or as an attachment to an email. Submit your abstract via the form at the end of this page. Abstracts will be reviewed by a panel and successful abstracts will be confirmed by email by 15th September at the latest. All presenters will be required to register for the conference (28th & 29th September 2018) and pay the associated fee. Places can be booked online via laleche.org.uk or http://buytickets.at/lalecheleaguegb/166702 . We will hold the early bird rate for you, for an invoice please email conference@laleche.org.uk . 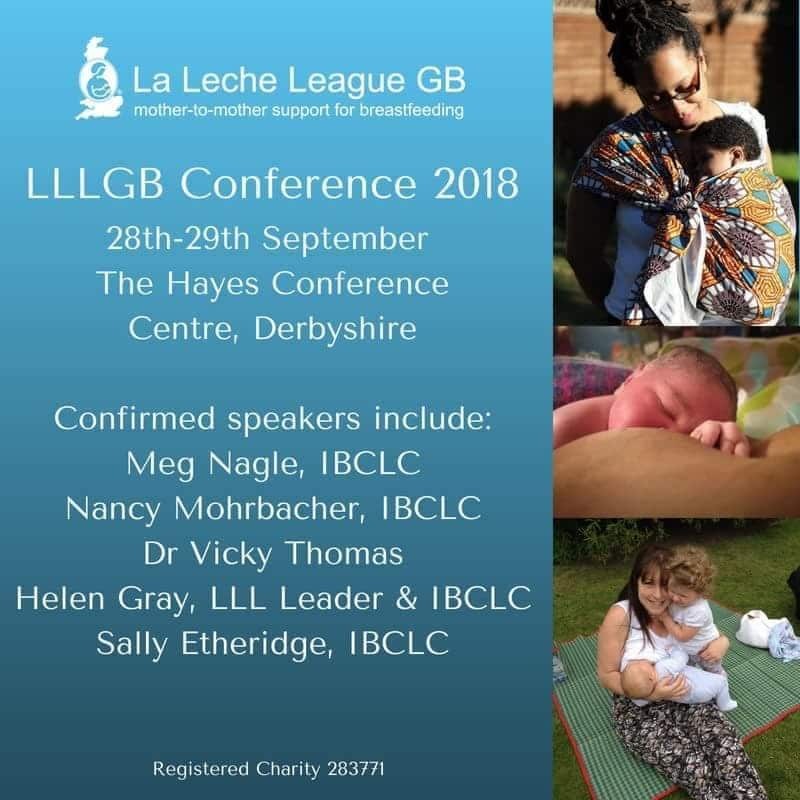 Numbered poster boards and fixings will be provided by La Leche League GB; delegates must produce, bring and mount their own posters on arrival at the venue. Posters should be printed in portrait format only, size A1 / A0. Submissions can be made jointly; however, we require one email address for the point of contact and communication of information. Successful abstracts will be published in print at the conference, and added to the La Leche League GB website after the conference. Please download and complete the form or fill it in below. My work is compliant with obligations under the International WHO Code, & I have no links or activities that may compromise La Leche League GB and its mission. Submitting authors will be sent an acknowledgement via email within three working days of submission to confirm that their abstract has been received. If you do not receive a confirmation email, please follow up to ensure that your submission has been received. Successful abstracts will be confirmed to the email address provided by 15th September 2018.